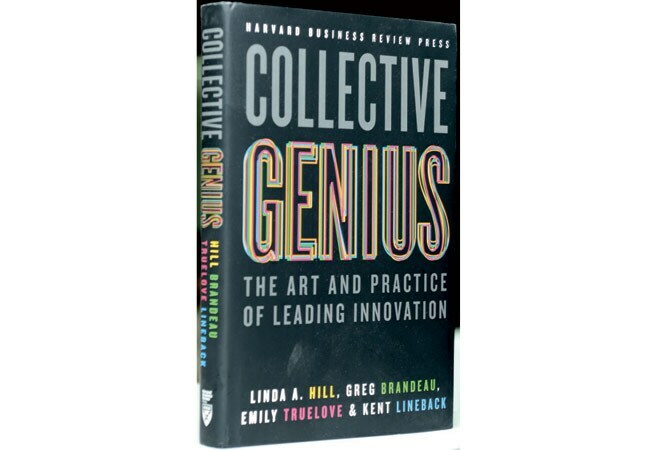 Collective Genius - The Art and Practice of Leading Innovation By Linda A. Hill, Greg Brandeau, Emily Truelove & Kent Lineback Harvard Business Review Press Pages: 298; Price: $28. Are all leaders good innovators? If the answer is 'yes', then every company globally should have come out with disruptive and pathbreaking innovations time and again. In reality, we find that only a few organisations manage to innovate repeatedly, while most others cannot do so even once. The book tries to find an answer to this vexed question. "When it comes to innovation, leadership matters and it is not leadership as commonly conceived today," argue the authors - Linda A. Hill, a professor at Harvard Business School and one of the top 10 management thinkers in the world according to Thinkers50; Greg Brandeau, technology head at Pixar Animation Studio; Emily Truelove, a researcher at MIT Sloan School of Management; and Kent Lineback. But to assume that all leaders are good innovators is 'deeply flawed and even dangerous', they say. The authors interviewed and observed 16 leaders, studied in depth 12 of them serving at various levels in different organisations in seven countries, to arrive at this conclusion. According to them, the normal definition of a leader - one who sets a vision and inspires others to follow - does not work when it comes to innovation. An innovative leader, they explain, acts differently. Instead of setting a vision and making innovation happen themselves, such leaders create a place and an environment where people deliver innovative solutions to challenging problems. In other words, the role of the CEO is to set the stage and not to perform in it. So what do innovative leaders do differently? They, according to the authors, pay particular attention to ensure that their organisation is collaborating, engaging in discovery-driven learning, and make integrative decisions. The authors thrash the myth that innovation is a flash of brilliance and stems from an 'Aha' moment in the mind of a creative genius. The authors insist that the process of innovation needs to be collaborative because often innovations arise from the interplay of ideas during interactions of people with diverse expertise, experience or points of view. Also, "every person in your group?. contains a slice of genius. Your task as a leader is to create a place where all those slices can be elicited, combined and converted into collective genius". Innovative ideas do not spring in the full and final form ready to be applied. This is another myth the book trashes into the bin. "Innovation rarely works that way and that's why the innovation process is usually messy?" say the authors. It is really about searching for a solution by creating and testing a portfolio of ideas where missteps, dead ends and rework are inevitable and must be accepted and encouraged. Innovative leaders also solve problems that inevitably arise during the process very differently. Instead of finding a solution by supporting either of the opposing ideas, they tend to integrate best of the two to come up with a third option. What makes the book interesting is that it delves into these issues by offering real-life corporate examples and observing leaders who have met considerable success in ushering in innovation. It also talks about how the leaders succeeded by creating communities whose members were bound by a compelling purpose supported by shared values and rules of engagement and how they fostered the ability to innovate by ensuring that their organisation possessed creative abrasion, creative agility and creative resolution.